Cook up a batch of chicken and shred it, and you’ll get dinner on the table in no time with these 15 recipes that use shredded chicken as the base! Part of my weekly food prep is to make a batch of slow cooker shredded chicken. Between nursing Lily, refereeing the bash bro’s, and finishing my cold cup of coffee, finding time to cook for the family has been really difficult as of late. I’ve found keeping shredded chicken on hand is a great way to have a meal halfway done and get dinner on the table in no time. 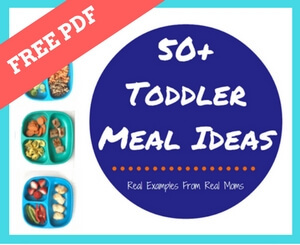 It’s definitely my saver for busy nights— which seem to be every night now that Lily has joined our family and my three amigos all need something different from Mom once dinnertime hits! While I’m one for “winging-it” by making meals with the base recipe for shredded chicken [I can barely read a recipe let alone follow it right now], I’ve put together a few of my favorite meal ideas using shredded chicken for you! My hope is that they make mealtime even easier for you and the hungry tummies you have to feed. Enjoy! All shredded and ready to eat! Save some of the cooking juices + salsa for serving! BBQ sauce is by far the boy’s favorite way I make shredded chicken! Mom’s favorite way: with red sauce! Have I made you a shredded chicken believer yet?! Shredded chicken is saving my sanity right now! I am a mom of a 2 1/2 yo picky eater and breastfeeding a 3 month old with potential food allergies, which makes takeout or even prepared foods from the grocery store difficult. I love being able to make a big batch of this to keep in the fridge and customize it different ways to meet everyone’s needs! Amen sister! Exactly why I use it too!! !